In a geographically-dense, metropolitan area like Southern California, public transportation is a helpful alternative to owning and/or driving a car or truck. Public transportation, including buses and light rail transit systems, provide a convenient alternative to driving when and where it makes sense. Unfortunately, negligent public transit drivers, inadequate driver training, shoddy maintenance, and over-worked bus drivers are sometime the cause of unfortunate accidents involving public transportation buses that cause injury and even death to bus riders, pedestrians, auto and bicycle riders and other innocent victims. City buses also lack the safety features that modern day automobiles take for granted, such as seat belts, soft surfaces and air bags. 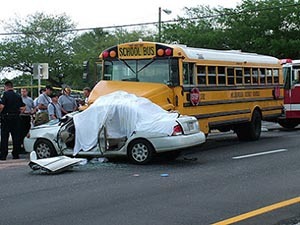 Because of that, bus accidents often result in more serious injuries to its passengers than private vehicles. 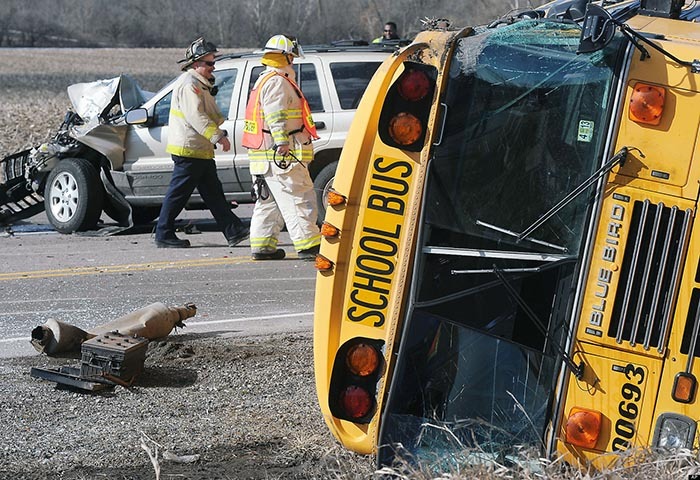 There are many causes for bus accidents including driver negligence, driver fatigue, inadequate driver training, defective equipment, shoddy or improper maintenance of buses. 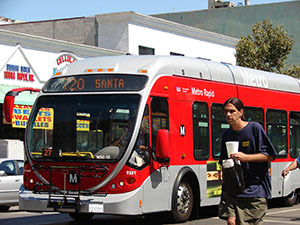 In the noisy urban settings in of Southern California’s bustling cities, a bus driver maneuvering the city streets may not even be aware that their bus has collided with an automobile, bicyclist or an innocent pedestrian. For bus riders, injuries can be sustained when buses make lane changes, sudden movements, or turns that cause passengers to be thrown against hard structures or to the floor. Riders often become human projectiles with tragic results. Injuries can range from bumps, bruises, skin lacerations to more serious injuries such as broken bones and concussions. Concussions can be especially dangerous for more “fragile” elderly riders and young children. When private bus companies and municipalities fail to maintain the buses they put on our streets, mechanical failures can lead to collisions and accidents that result in injuries and deaths. For example, old brake shoes or brake pads that are not replaced at timely intervals can contribute to a bus driver rear ending a vehicle. Old and cracked or worn tires can cause dangerous blowouts leading to vehicle crashes and collisions. Bus driver negligence has resulted in collisions and crashes when bus drivers are talking or texting on their cell phone, eating while driving, and other engaged in other distracting activities. Under California law, buses are considered “common carriers”, and owe a duty to the public to use the highest care and the vigilance of a very cautious person in protecting the safety of their passengers. California Civil Code Section 2100 states that “A carrier of persons for reward must use the utmost care and diligence for their safe carriage, must provide everything necessary for that purpose, and must exercise to that end a reasonable degree of skill.” A common carrier does not insure the safety of its passengers, but it must use reasonable skill to provide everything necessary for safe transportation. Here is a picture from a new helicopter and a video of a recent event that captures disturbing footage of a bus driver appearing to smoke marijuana while driving a bus before he crashes into a house. If you have been hit by a bus or you were a passenger on a bus and were injured during severe movements or in an actual crash or collision, it is important to collect and document as much information as possible about the bus, the driver, and the circumstances of the incident. 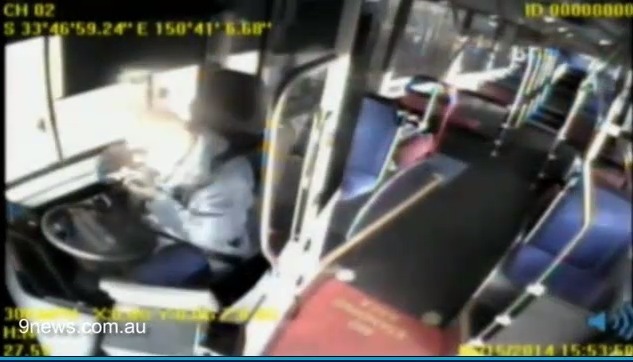 Many buses have video cameras (like the video above) that record the interior of a bus, but those recordings sometimes miss critical information and are not always available when an injured victim needs them. We can expedite that through legal channels and our in-house private investigator can fill in a lot of missing details to bolster your case possibly the monetary value of your claim. 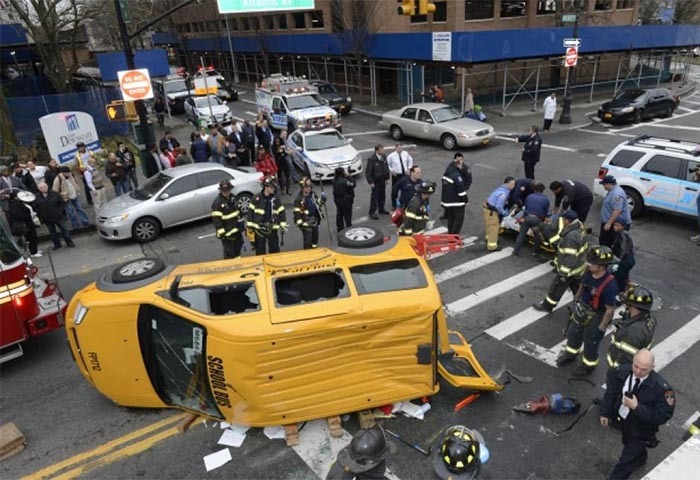 Thousands of people in the United States are injured or killed every year in bus accidents. 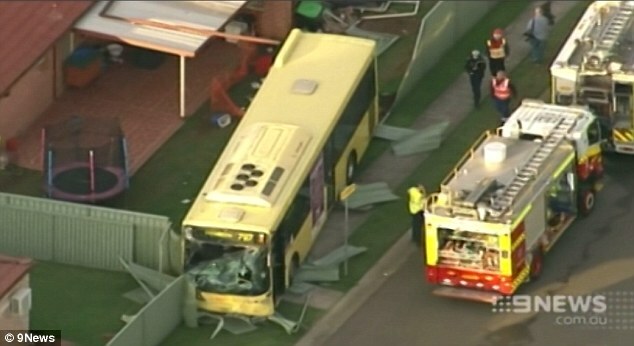 Due to their sheer size, bus accidents often result in serious / catastrophic injuries and even death. Lives can be turned upside down in an instant, and you may feel lost and confused and not know where to turn next. The Southern California Personal Injury Lawyers at Curd, Galindo & Smith, L.L.P. , we are here for you! If you or one of your loved ones has been injured in a bus accident, call (800) 300-2300 to set up a free initial consultation with an experienced bus accident lawyer. 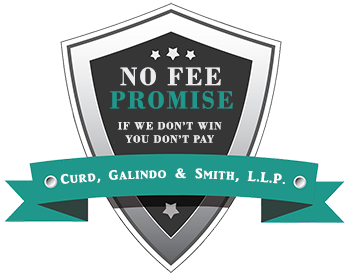 Curd, Galindo & Smith provide a free initial consultation, and bus accident victims are represented on a contingency fee basis. 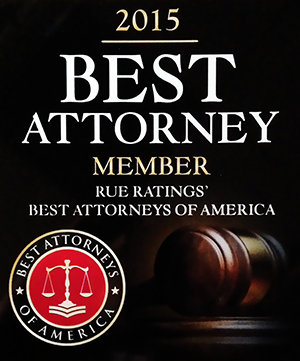 If we do not obtain a settlement or money judgment for you, we don’t receive a fee. The Southern California Personal Injury Lawyers at Curd, Galindo & Smith represent clients injured by dog bites, auto accidents, workplace accidents, accidents on another’s property, medical malpractice and wrongful death cases. If you think you may have a personal injury case, please do not hesitate to seek the expert legal assistance you need to make things right. It costs nothing to call us, costs nothing for a consultation, and costs nothing to get us started looking out for your rights if we agree that you have a solid case.